Striker Rhys Oates has posted a farewell message following his release from Hartlepool United. The 23-year-old striker was one of three players released by new Pools boss Matthew Bates as he looks to overhaul the squad ahead of the club's second season in the National League. Having preciously represented Barnsley, Grimsby and Chester, Oates joined Pools in 2016 and has gone on to make 109 appearances for the club while netting 15 goals. His last goal for the club proved to be the winner on the final day of the season as his backheel helped Hartlepool to a 2-1 win at promoted Tranmere Rovers. But the Pontefract-born striker will now depart the club after he was not offered a new deal by Bates. Oates took to Twitter to thank the Pools' faithful. 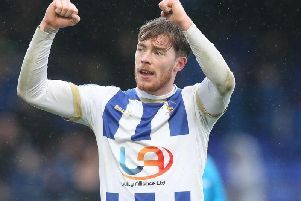 "I would like to thank everyone involved with Hartlepool United from the staff and players to the fans who have supported me through the three years I have spent at the club," he said. "It's been an honour to make over 100 appearances for the club and get so much experience. "There's been a lot of ups and downs but I have enjoyed every minute of it. "I wish the club all the best for the future. "Onto the next chapter of my career now! #poolies"